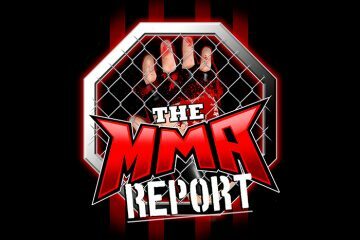 UFC 229 took place last weekend in Las Vegas and on this week’s episode of The MMA Report Podcast, Jason Floyd and Daniel Galvan discuss everything that happened in and out of the octagon. Plus, Jason has conversations with Angelo Reyes, Henry Corrales and Ray Rodriguez. At the beginning of this episode, Jason and Daniel discuss the actual fight that took place at UFC 229 between Khabib Nurmagomedov and Conor McGregor. They tell you what surprised them about the fight and then you will hear Jason’s conversation with boxing and MMA striking coach Angelo Reyes, who talks about what he saw from Conor McGregor. Following the conversation with Reyes, the guys recap the rest of UFC 229 including the post fight interview given by Derrick Lewis and how he’s now fighting Daniel Cormier for the heavyweight title next month at UFC 230 in New York City. After discussing all things UFC 229, the conversation turns over to this weekend’s Bellator events. Find out who Jason and Daniel pick in the main event of both cards and which undercard fights that stick out to them. Then it’s the fighter interview portion of this week’s podcast as Jason chats with Bellator 208’s Henry Corrales and LFA 52’s Ray Rodriguez. Corrales previews his fight on Saturday against Andy Main and Rodriguez discusses his fight against Chris Gutierrez. Upon the conclusion of those conversation, Jason and Daniel take a look back at PFL 8 and preview Saturday’s PFL 9. Finally, they end the show by doing the weekly Buy/Sell segment and discuss a couple of fight bookings announced this week. 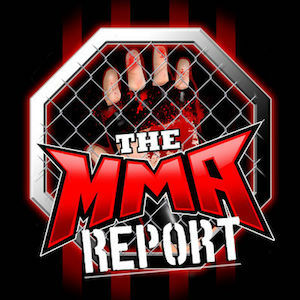 This episode of The MMA Report Podcast is brought to you by Romans. Roman is a one-stop-shop where licensed US physicians can diagnose ED and ship medication right to your door. With Roman, there are no waiting rooms, awkward face-to-face conversations, or uncomfortable trips to the pharmacy. You can handle everything discreetly online. For a free online visit, go to GetRoman.com/MMAREPORT, fill out a brief medical onboarding, chat with a doctor, and get FDA-approved ED meds delivered to your door in discreet, unmarked packaging. Did you read the article about Dana saying all Coker’s promotions have been failures and he’s never created a star? Dana said Rousey wasn’t a star until he made her one. He said this a couple of weeks ago and nobody is talking about. The reason Dana brought women in the UFC was because of Ronda who’s fame started in Strikeforce. I’m gonna name a bunch of fighters and you tell me if they are stars or not Jason. DC, Rousey, Woodley, Rockhold, Overeem, Pico, Ruth, Cyborg, Diaz, Tate, Illema, Romero, Lavoto Jr, Storely, Mo Lawal, Budd, Connen, Mousasi, OSP, Chandler, Shields, Jacare, Mayhem, AJ Mckee, Gallengar, the Fortunes, Joey Davis, Larkin. Also the UFC bought Strikeforce because they knew how big it was getting and how many great fighters they had. UFC wanted to eliminate their biggest threat and they did. Dana’s acting like Strikeforce went out of business. But the fact is Coker’s partners didn’t want to be in the MMA business anymore. Yes, I read the deposition that the article you are referring to is based upon. Something to remember, the UFC bought Strikeforce for the fighter contracts, which was a smart business move on their part. In terms of stars, do you mean stars in the MMA world or sports world? I mean how many of those fighters are stars that Scott Coker created? My point is Coker created a lot of stars in Strikeforce and Bellator. In terms of the list of fighters you mention, only a couple of them I would consider a star in MMA. My definition of a star is someone that people go out of their way to watch. Clearly the number one would be Rousey. Outside of her, I think you would have to consider Cormier, Cyborg, Diaz and Woodley. Now I do think Pico has a chance to be a star, but he’s not there yet. Chandler wasn’t a star until he beat Alvarez. But Coker did discover him first. Also he discovered Cain. Even tho he only had 1 fight in Strikeforce. Clay Guida, Gilbert Melendez, Cung Le, and much more. Scott Coker and Rich Chou are way better at finding talent than Bjorn Rebney and Sam Caplan were. Rebney n Caplan were good at finding talent too. They found some really good fighters. How surprised are you that Alvarez wants to end his career with ONE instead of Bellator where he started it? There are reports he is very close to signing with ONE Championship. Rockhold vs Costa? Cain vs Overeem? Fedor vs Hunt 2? McGregor vs A. Silva? This is my test on whether a fighter is a star or not: Walk into a bar on a Friday or Saturday night when MMA is on the television set, ask them to name MMA fighters. If they don’t mention a certain fighter, ask them what they think of that fighter. If they can’t answer, they don’t pass the star test. Something to note when you see a fighter on a Bellator preliminary card or Strikeforce back in the day, those fighters are not likely on a multi-fight deal and they were bought to Bellator or Strikeforce by a local promoter. As I recall in the Chandler case, that was Jesse Finney who did that. On Alvarez, you have to get the most money you can get. If it’s ONE Championship, go get that money. At 34 years old, this could be Eddie’s last big chance to cash in. If Dana said the former Pride boss has been a failure in all his promotions and has never created a star. I could see his point with that. But to say that about Scott Coker the 2nd greatest MMA promoter and a top 5 combat sports promoter. That is total BS. Scott Coker’s partners wanted out when Strikeforce was getting huge. It didn’t make any sense. He should’ve got a different backer to buy it from SVSE. But it was too late because they already were talking to the UFC and had a deal real quick. I talked about the Israel card being on tape delay multiple weeks ago on the podcast. Some places say UFC 100 did 1.3 million buys and some places say it did 1.6 million. Which one is true? Only the UFC and fighters who were on that card with audit rights would know the true number. Typically, the UFC does not release PPV buy rate numbers. Oh and Danis is a star or could be. What are your top 3 fights to watch this weekend?